Facebook has banned the University of Cambridge Psychometric Centre's MyPersonality app for sharing data with only "limited protections in place". And it will notify the four million people who have taken the test the data they shared "may have been misused". 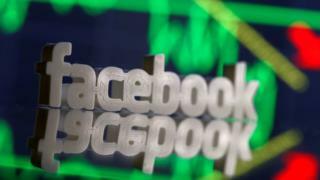 The app was deactivated in 2012 and suspended in May 2018, after a Facebook audit of apps in the wake of the Cambridge Analytica data-abuse scandal. And its creator has called Facebook's decision to finally ban it now "odd". About 400 apps were suspended as a result of the audit, which looked at the way programs that piggy-back on the social network gathered and shared information on its users. But MyPersonality is only the second of them to be banned. The first was This Is Your Digital Life, Cambridge Analytica's controversial data-harvesting personality test. MyPersonality had rebuffed Facebook's request to audit how it worked, the social network's head of product partnerships Ime Archibong wrote in a blog. But the University of Cambridge Psychometric Centre deputy director David Stillwell, who co-created the app in 2007, said it had been "certified" as compliant with Facebook's terms shortly afterwards. The centre said the data harvested by the app had been used by researchers in more than 45 studies published in journals. And Mr Stillwell told TechCrunch that Facebook had known for a long time how the data had been being used. "It is therefore odd that Facebook should suddenly now profess itself to have been unaware of the MyPersonality research and to believe that the data may have been misused," he added.